Keep this in mind when choosing fabrics: 1) find your colour and don't stray too far from it and 2) keep your choices harmonious. For example, if you would like to explore RED, bring reds, oranges, reddish purples, magenta, warm brown, etc. Kaffe's original version is a study in blues and includes purples and greens. 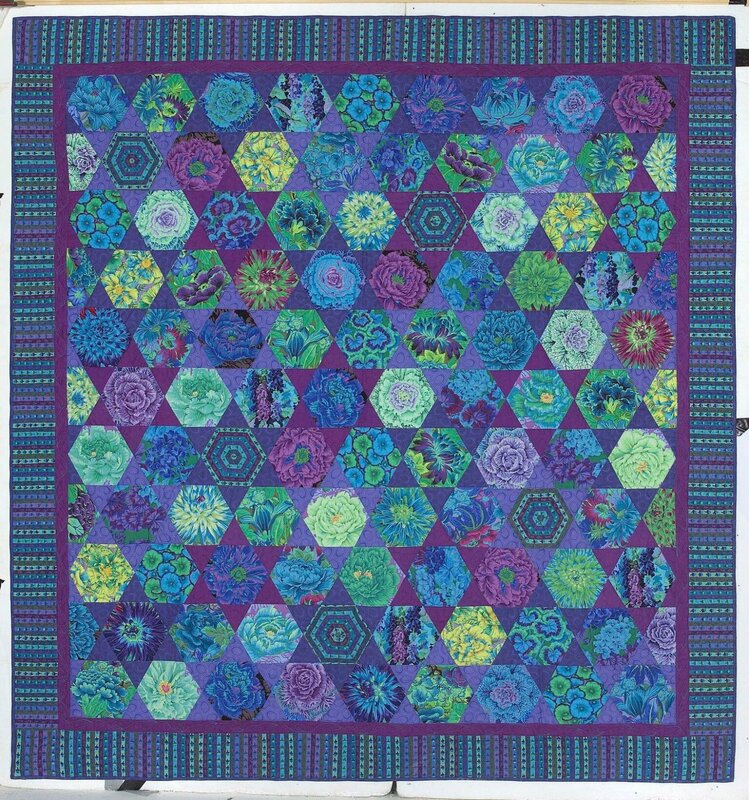 For the hexagons, bring 1/4 to 1/2 yard cuts of 20 or so different large-scale or geometric prints in tonally similar colours. For the points, bring 6 or so bold fabrics in 2 or 3 colours in a medium scale print. Some participants wait to choose these fabrics until after setting the hexagons. If you are not sure how you are going to proceed, that's okay. You can bring your stash favorites and be prepared to shop with Kaffe and Brandon at the workshop. 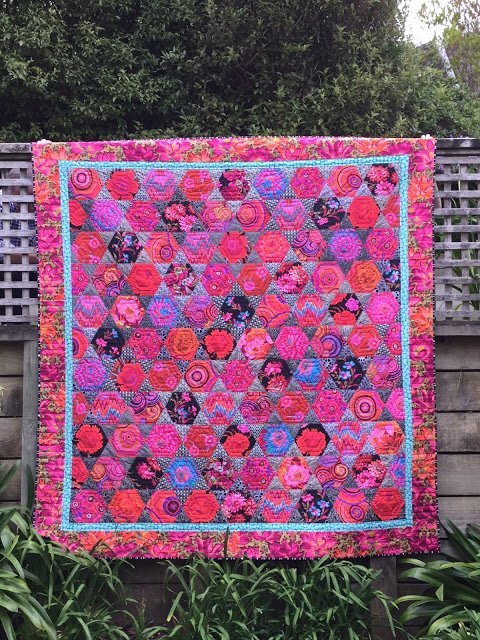 Please feel free to bring any fabrics you would like to use to the workshop - these do not have to be Kaffe Fassett Collective fabrics. Sew Much Fun! gives a 10% discount on supplies needed for class!